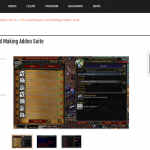 During Warlords of Draenor, “super squirt” was the codewords whispered between gold makers, which meant that there was a rare event that allowed players to quickly level up battle pets. 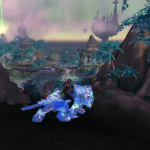 A garrison menagerie visitor, led by a child called ‘Squirt’ gave super fast pet leveling. As you may know, battle pets at level 25 sell for more gold than brand new level 1 pets. In Legion, the codeword is “Andurs” and you will be battling Mini Musken. The battle is even faster than Squirt in Warlords of Draenor! 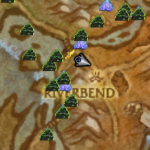 The only drawback is that this is an irregular random event and you must watch out for it on your daily World Quest list. The battle was discovered by XuFu’s pets, my favourite pet battle website. Your safari hat if you have one. 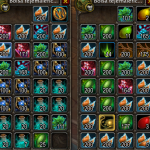 Lots of pet snacks: Pet treat increases pet xp by 50% for an hour. I bought mine at the Garrison menagerie and mailed them over. Rare level 25 Iron Starlette pet. If you don’t have one, level one up using other methods. In the same way that Squirt was only an occasional visitor to your garrison menagerie during Warlords of Draenor, Andurs is also only an occasional visitor to the Broken Isles. He is found with his battle-mate Rydyr in Stormheim. Fly in to Valdisdall. 1 Iron Starlette with Wind up, Toxic Smoke, and Explosion. 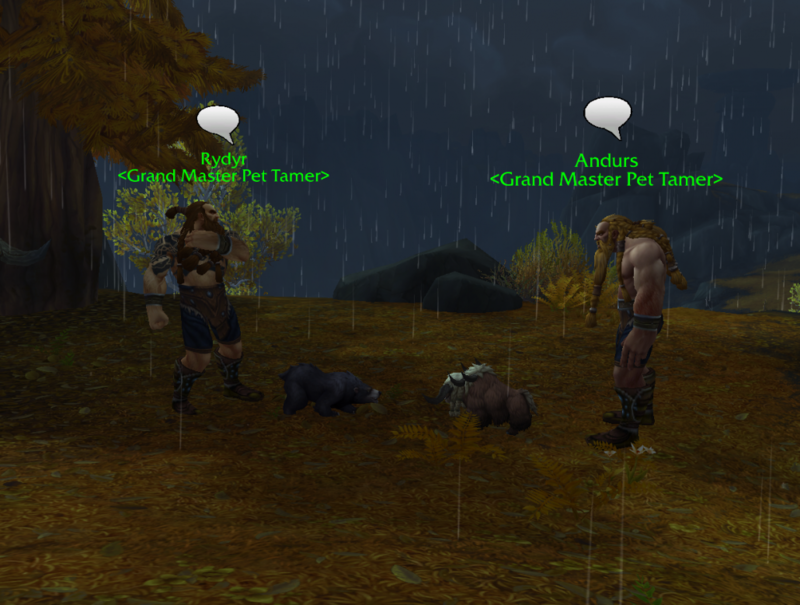 Totally ignore Rydyr, and talk to Andurs to start a pet battle. Iron Starlette Explodes, killing both Mini Musken and your Iron Starlette. Your two low level pets pets get all the XP. After the battle with Andurs DO NOT TALK TO RYDYR. Talk again to Andurs and ask to battle him. Thank you once again to XuFu’s Pet Battles! 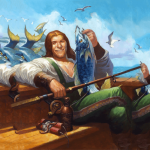 Once your cageable pets are level 25, sell them on the Auction House. Here is my favourite site for battle pet prices. 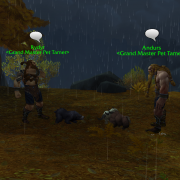 Buy a level 1 pet from the Auction House or farm it. 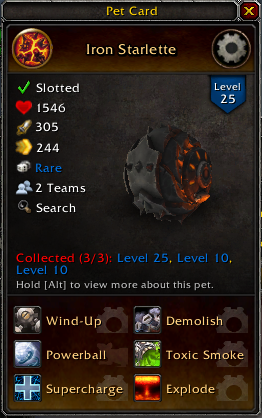 At level 25, right click the pet in your collection to cage it. Keep in mind, a hotfix after Patch 7.1 nerfed the XP gain for Andurs, so while it is repeatable, it’s no longer the bonus it used to be.Still farmable, and still worth 4k during pet week, but it’s ~900 to 1100xp instead of what it used to be. Squirt at the garrison, is a hefty 2.5k to 3k chunk of XP (if your pets are between 8-15, with diminishing returns after that.) 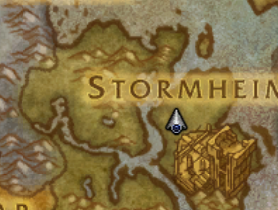 that occurs every 15 days/2 weeks at your garrison. 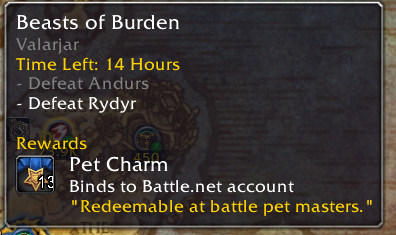 During pet battle bonus week, that goes up to 10-11k (out of the 24.5k to level a single pet) plus, it’s repeatable and somewhat farmable with the addon Rematch and access to very quick repairs from the nearby stable master/questgiver in the menagerie. All 15 of the trainers in the menagerie are on a scheduled rotation that only changes if there’s a major patch that resets the servers. The previous day for Squirt was the 9th December 2016 for US realms, 10th for EU realms. The next scheduled day for US/EU realms is December 24th/25th, which co-incides with a Pet Battle Bonus Event “Sign of the Critter” for a 3x boost to Pet XP from the 20th to 27th. This should get a level 1 to 14-5 without bonus items (safari hat, darkmoon hat, pet treats), and 15-22 on the second round, and if you have the safari hat, it is between 7k to 8.8k xp (diminishing returns) which is enough to get pets to 25 in nearly 2 rounds if you use the pet treats. AFAIK, you can also ‘farm’ Eleanor, Stitches jr, and The Beakinator garrison trainers and get regular XP (tripled during pet week) If it’s on schedule, 17/18 is eleanor, 20/21 is pet week (quintessence, no xp), 22/23 is stitches jr, 24/25 is squirt, and 27/28 is beakinator/end of pet week. The majority of garrison trainers have been nerfed to give little to no xp or badges, so just focus on WQ if you’re looking for ways to get unique pets for sale, or for quick levelups when needed.